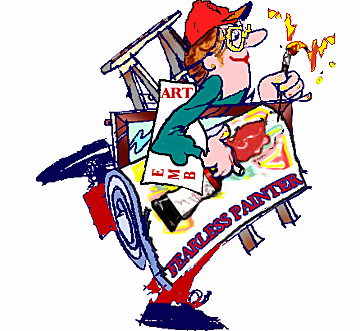 Welcome to Fearless Painting -center of creativity and imagination. Time goes by and change is the only constant in life. Hard to believe that the last time I visited my blog, I was living in Paducah,Kentucky. Fast forward to the present and now, I live, paint and teach in Spokane, Washington in a new studio with a beautiful and inspiring garden. A new fearless chapter in life has begun. 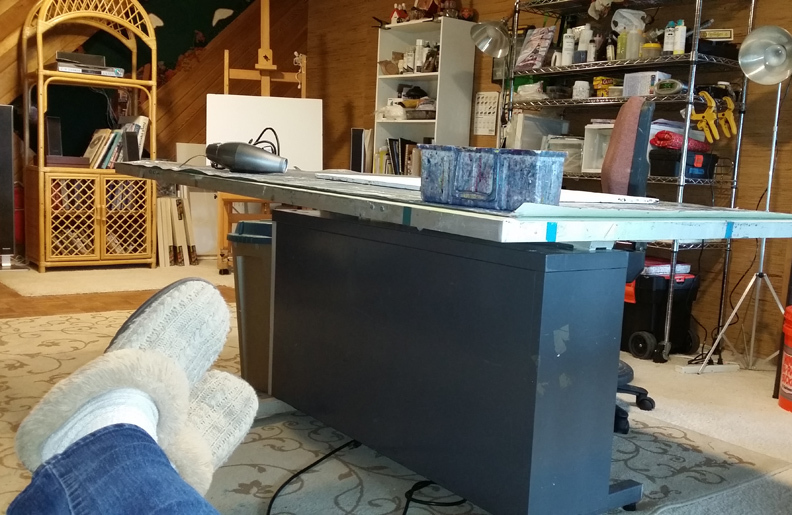 The boxes are unpacked,my art tools are now happily "organized" on shelves and my mind is filled with ideas ready to be explored. 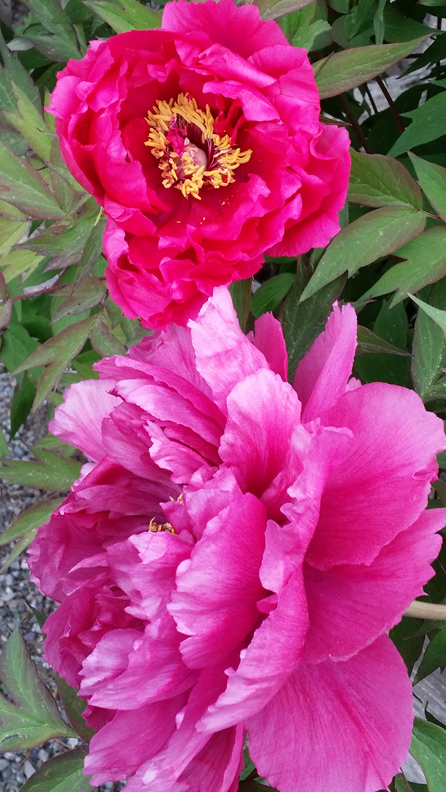 Painting ideas are popping up like these inspiring peonies and irises from my gardens. But these creative ideas will have to wait. 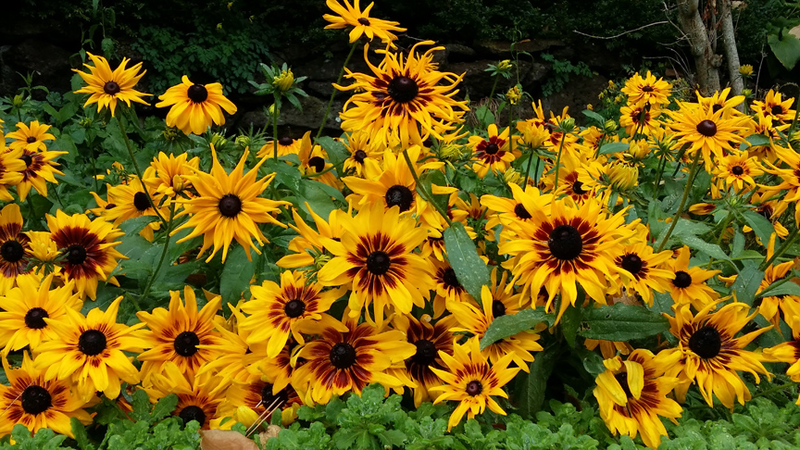 Today, I choose to focus this month's blog on helping others be creative. Beginning July 12, I am pleased to share the news, that you will be able to join me to explore your imagination and to learn how to paint FEARLESSLY! Are you a person looking to release your inner artist? Do you dream of picking up a brush and painting spontaneously? Do you dream of being able to create a beautiful work of art about something in your life? Would you like to learn about the tools and methods that would allow you to become a Fearless Artist? If you answered yes to any of these questions, then ........You are invited to check out my upcoming art classes being held at the Spokane Community College. This summer I will be teaching two Fearless painting classes for acrylics and watercolors. In this 5 week class, students will learn all about the tools and methods of painting with this fun medium. 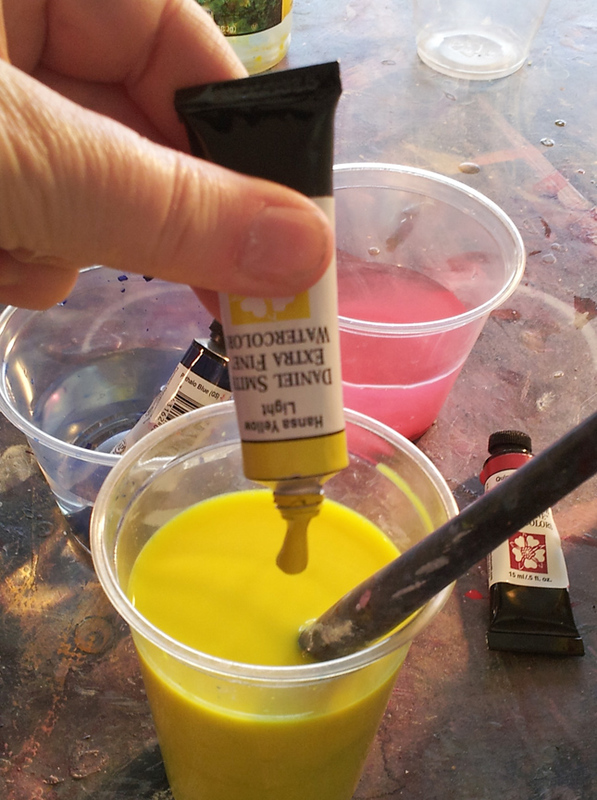 Acrylics are a paint medium that can be applied to many different surfaces such as paper, canvas, glass and cloth. 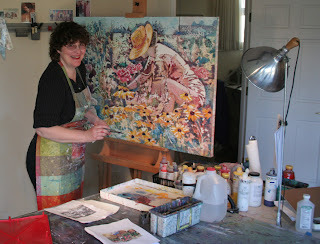 I will share with you my fearless methods of applying acrylics to create your own exciting paintings. Learn how to create unique brush marks, to splatter, to pour and to print with acrylic paints and design unique patterns inspired by nature. 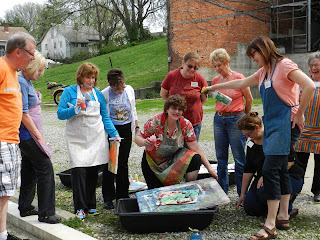 Discover your inner child and find out how much fun it can be to be creative using different types of acrylic mediums. Sign up for this class and learn the skills that will allow you to watch, learn and experience painting landscapes, flowers, figures, and even abstracts! My goal as a teacher is to help you acquire the skills to paint your way, whether you want to work realistically or abstractly! My method of teaching is to make it easy for you, as a student, to understand how to work with acrylic paints,tools and mediums. 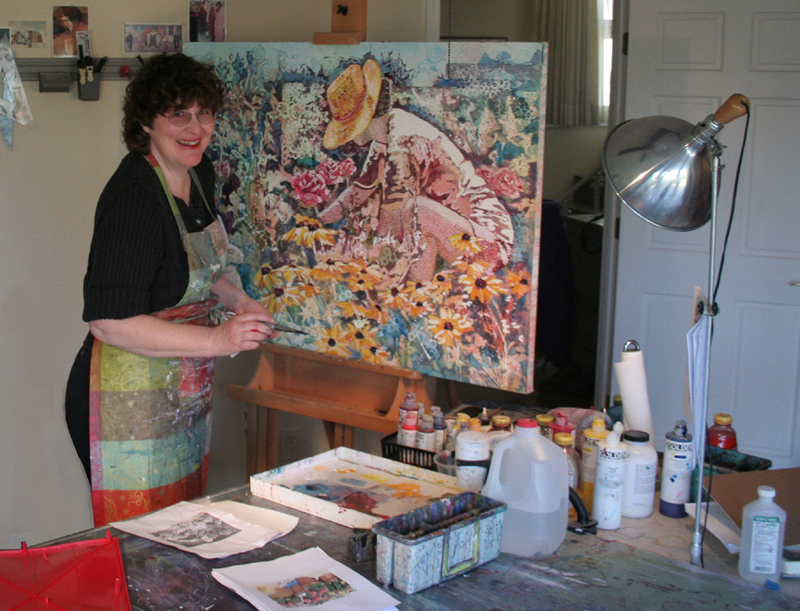 In my Fearless Painting Classes you can enjoy numerous demonstrations designed to help you watch and learn how to use your painting tools to create an endless array of subjects. 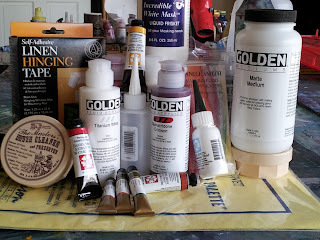 I will share with you my "secrets" to making a successful painting. 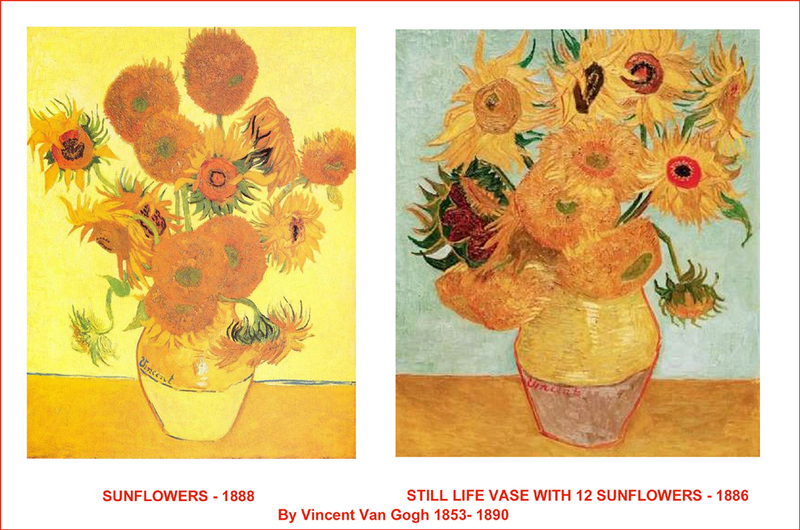 With my help, YOU will learn how to create inspiring artwork that you will be proud to hang in your home and share with your friends and family. 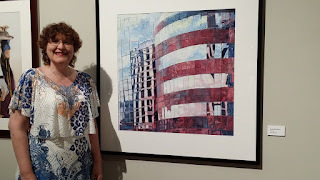 Whether you want to paint in a representational manner or be free and paint abstractly I will help you to understand art terms such as: "composition", "creativity" and "craftsmanship" with acrylics. 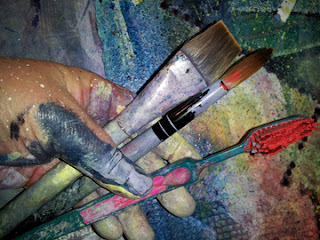 My classes will help you find new ways to express yourself and strengthen your artistic skills! Have you always wanted to "play" with watercolors? Are you looking for something different to do this summer? This summer fun-time event is three sessions of painting with watercolors on paper for beginners to intermediate artists. 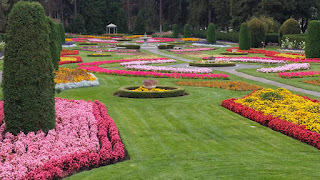 Our first two nights together on August 15 & 17 will be held in the classroom and then on Saturday August 19 (weather permitting) we finish up this Fearless Watercolors experience with an ALL DAY painting class, on location at Manito Garden Park in Spokane. In this class you will get to watch demonstrations and get plenty of painting time,while learning about the tools and methods of creating with watercolors on paper. Get ready to explore and experience how easy it is to paint with watercolors...because I will help you become a Fearless Painter. * how to correctly use both the traditional and unusual tools of water- media to create landscapes and flowers. * how to create watercolor washes to create atmosphere. * how to create shadows and highlights to create dimension. * how to layer paint to create drama and mood. 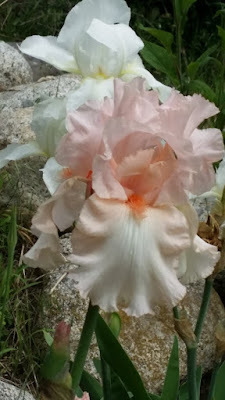 I will, also,help you to understand the basics of color theory for the watercolor artist. 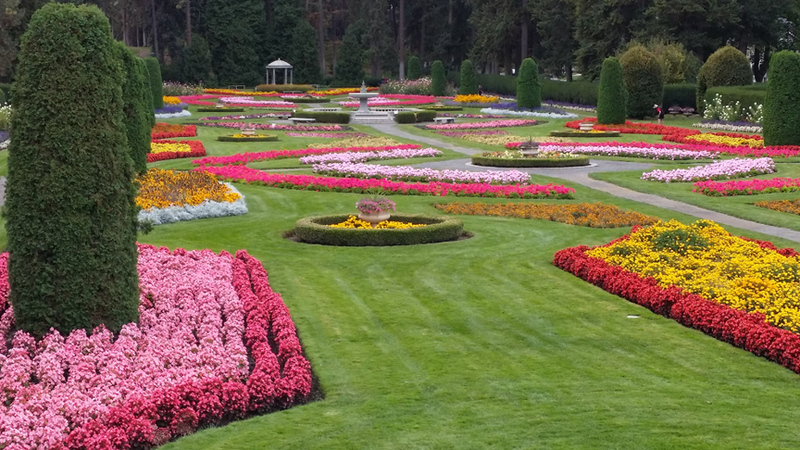 Best of all you will get the opportunity to experience the joys of painting landscapes and flowers on location with my help! So come, be inspired ,have fun while you learn how to be Fearless with Elise Beattie! If you have questions about these workshops or my art please write me an email. 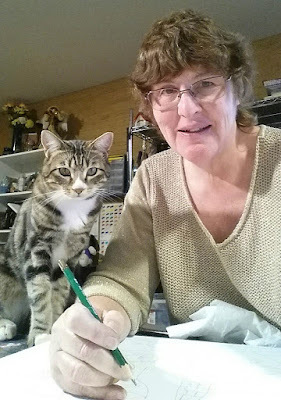 You can also find out more about my latest art & adventures by visiting my Facebook Art Page. or visiting my web site! Thank you for visiting my blog, until next time, I wish you a happy and creative summer.